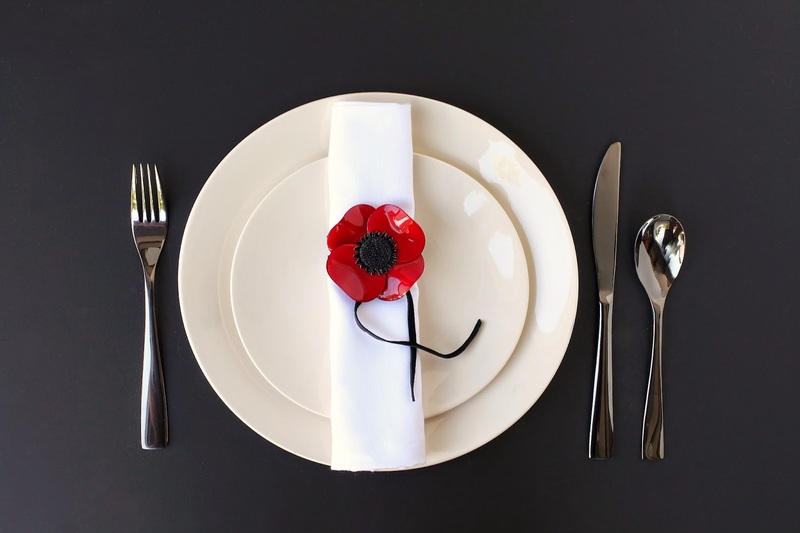 Just in time to start planning your holiday get-togethers, we have a tabletop DIY that is so simple, you can save your energy for that extravagant paella you've always wanted to make. 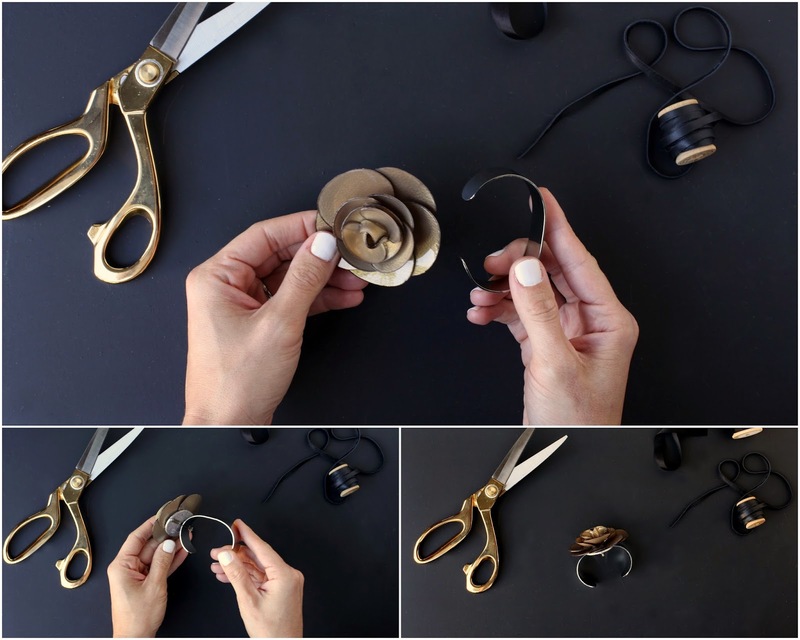 We are taking some of our most fashionable pins and turning them into napkin rings- the perfect way to pull a place setting together. 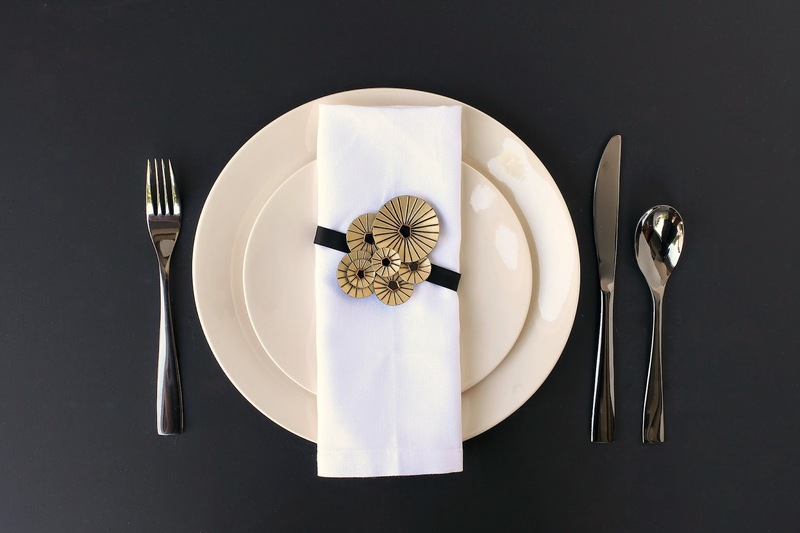 These napkin rings are just so happy and welcoming, and always make a statement- whether it's soft and subtle or bright and bold. Let's start with materials. There are so many options, really, just about anything that can form a circle! 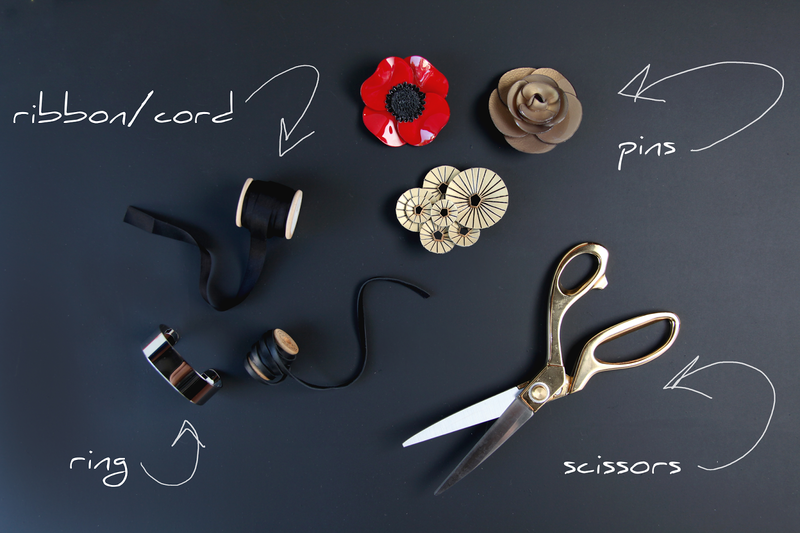 We chose black ribbon, black leather cord and a shiny metallic cuff. 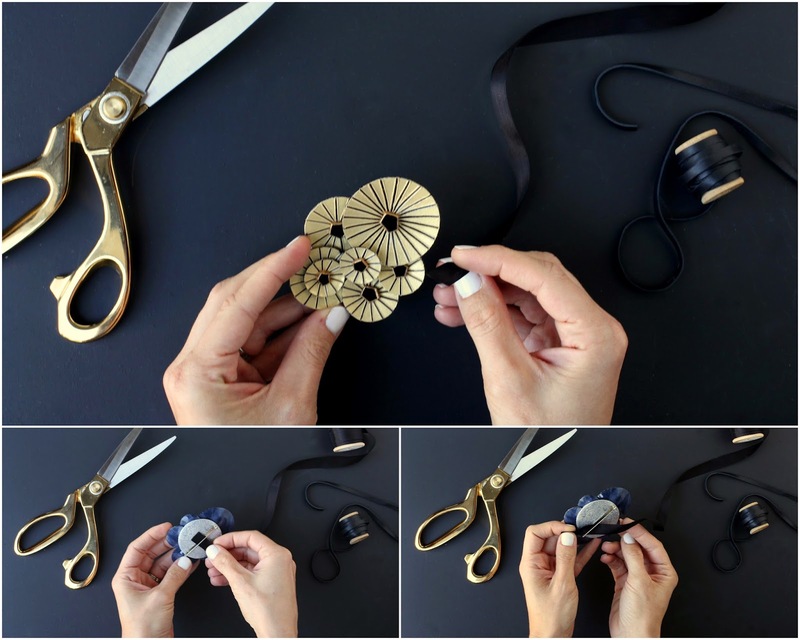 Slide, thread or loop your fastener of choice through the clasp of the pin. 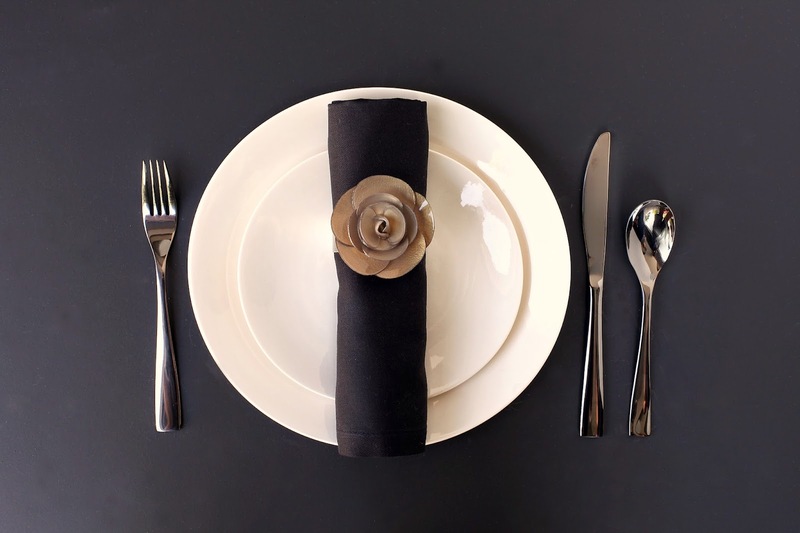 Secure behind the napkin. That's it! Effortless style that does not even disturb the integrity of the jewelry. 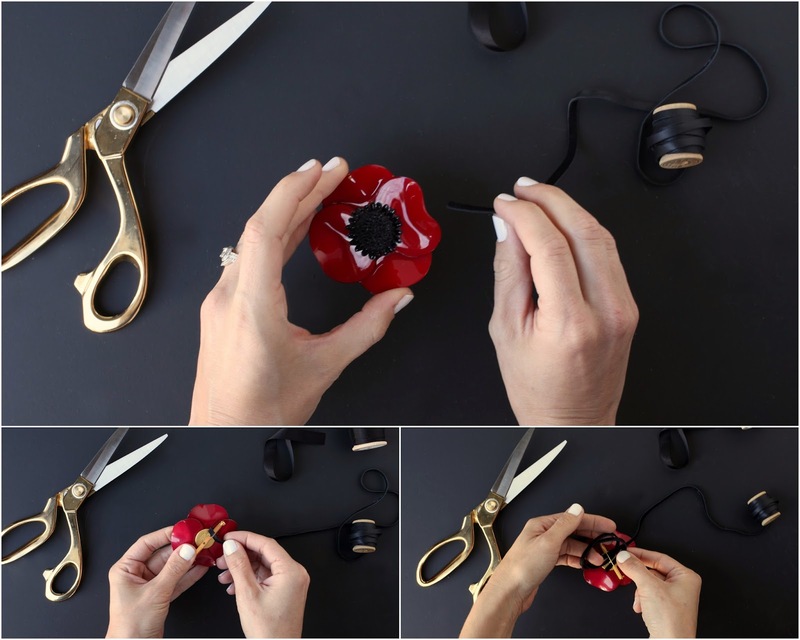 Simply remove the fasteners, and those pins become incredible parting gifts! 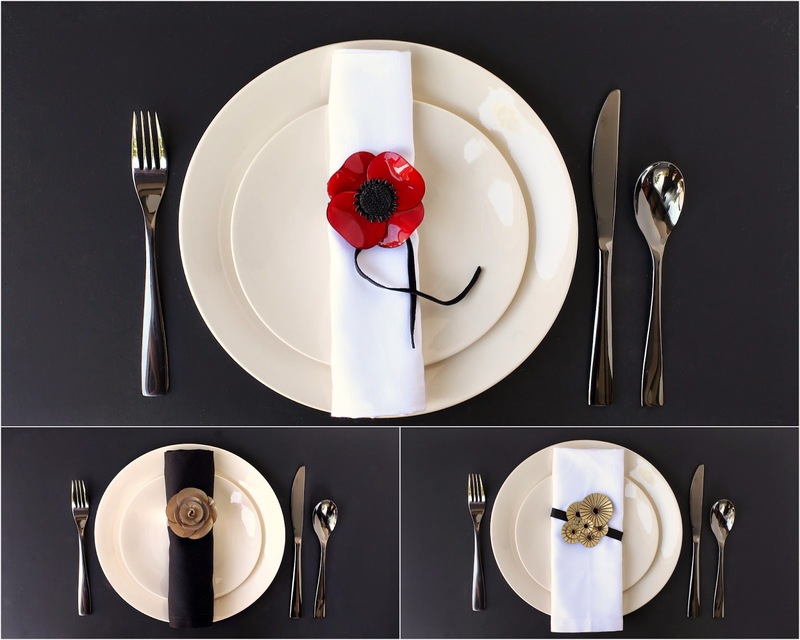 **We used our Red Poppy Pin, Black & Gold Kyoto Pin and Bronze Floral Pin- all handcrafted in France. Click here to see our entire selection of pins. We had so much fun with this product reinvention. Have you ever used a product for something other than it's intended use? Show us on Facebook!